Ocean acidification (OA) is an impending environmental stress facing all marine life, and as such has been a topic of intense research interest in recent years. 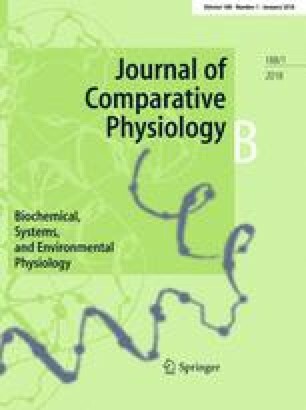 Numerous detrimental effects have been documented in marine fish, ranging from reduced mortality to neurosensory impairment, and the prevailing opinions state that these effects are largely the downstream consequences of altered blood carbon dioxide chemistry caused by respiratory acid–base disturbances. While the respiratory acid–base disturbances are consistent responses to OA across tested fish species, it is becoming increasingly clear that there is wide variability in the degree of downstream impairments between species. This can also be extended to intraspecies variability, whereby some individuals have tolerant physiological traits, while others succumb to the effects of OA. This review will synthesize relevant literature on marine fish to highlight consistent trends of impairment, as well as observed interspecies variability in the responses to OA, and the potential routes of physiological acclimation. In all cases, whole animal responses are linked to demonstrated or proposed physiological impairments. Major topics of focus include: (1) respiratory acid–base disturbances; (2) early life survival and growth; (3) the implications for metabolic performance, activity, and reproduction; and (4) emerging physiological theories pertaining to neurosensory impairment and the role of GABAA receptors. Particular emphasis is placed on the importance of understanding the underlying physiological traits that confer inter- and intraspecies tolerance, as the abundance of these traits will decide the long-term outlook of marine fish. AJE is supported by a National Science Foundation Grant (EF-1315290). The author has no conflict of interests with respect to this work.